Take a look at the ingredient list of your shampoo, body wash, soap, facial cleanser or even toothpaste, and chances are, you’ll find sulfate—in the form of sodium lauryl sulfate or sodium laureth sulfate—high on the list. What is sulfate exactly? In a nutshell, sulfates are great cleansers that cut through oil and dirt. They’re commonly found in hair and skin cleansing products because they have the ability to attract water and oil. Due to this quality, they can efficiently lift dirt and oil from the body and rinse down the drain when mixed with water. Oh, and they’re also responsible for that lovely foam you associate with feeling so fresh, so clean. 1. Is your hair curly and frizz-prone? If you introduce sulfate shampoo into the curly-picture, you may be making the situation worse, since sulfate lifts the hair cuticle, making it more likely to frizz. In this scenario, a shampoo without sulfate is best since it won’t strip hair of as much moisture as a regular shampoo would. 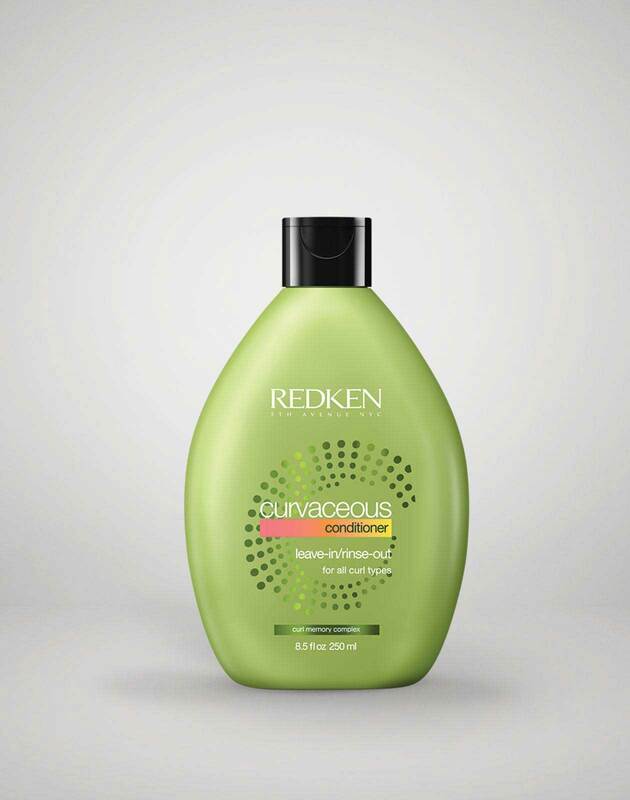 The Redken Curvaceous line features three sulfate-free cleansing haircare products for different curl types. Redken Curvaceous Low Foam Moisturizing Cleanser and Redken Curvaceous No Foam Highly Conditioning Cleanser both offer rich hydration and frizz control, making them ideal for curly hair or spiral hair. Wavy hair, which requires a product that’s moisturizing but not as heavy, pairs well with Redken Curvaceous High Foam Lightweight Cleanser. After shampooing with any of the cleansers, use Redken Curvaceous Conditioner for Curly & Wavy Hair to give your hair even more hydration. For those of us with frizz, but not a curl, Frizz Dismiss Sulfate-Free Shampoo for Humidity Protection and Smoothing is another great option to reduce frizz. 2. Is your hair dyed? If yes, keep your new haircolor intact with a no-sulfate shampoo. 1. After a haircoloring service your hair may be drier than usual. A sulfate-free shampoo, however, won’t dry your hair out as much as a sulfate shampoo would. 2. Since sulfate-free shampoos and conditioners are so gentle, they’re less likely to wash away your hair dye. Looking for the best sulfate free shampoo for color treated hair? 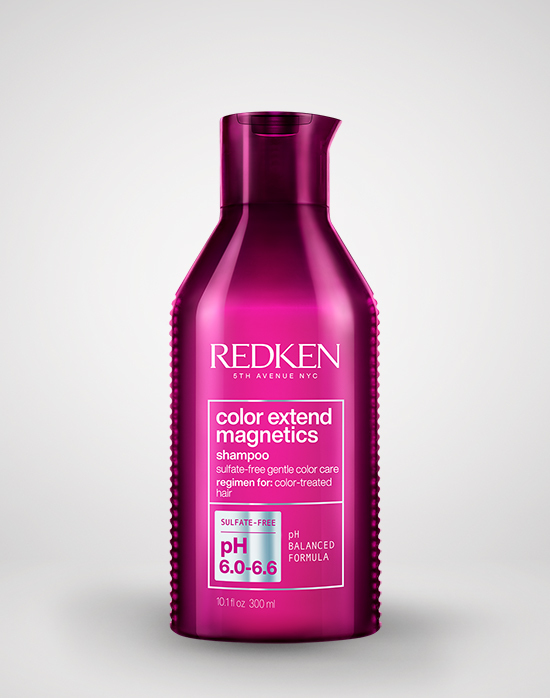 Redken has its Color Extend Magnetics Sulfate-Free Shampoo, which is designed not to fade haircolor. 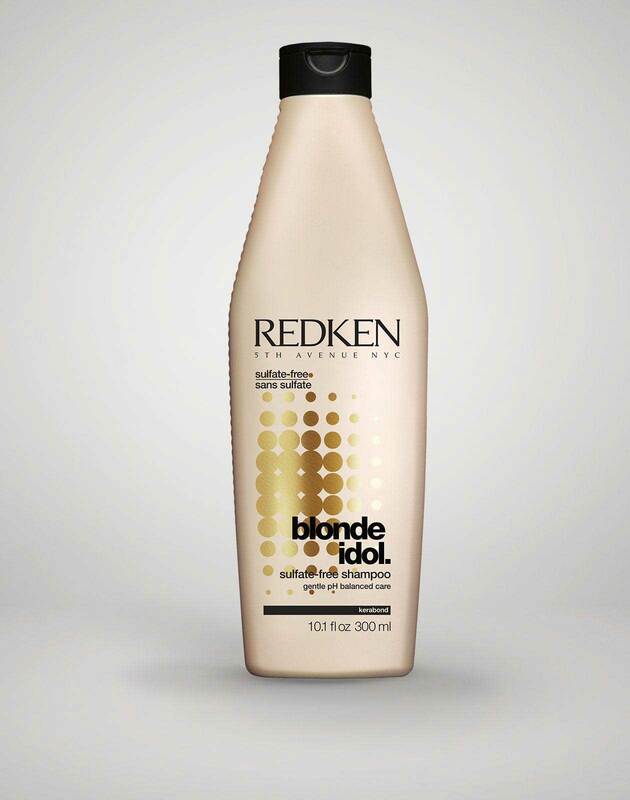 For the best sulfate free shampoo for color treated hair that is blonde, Redken has its Blonde Idol Shampoo, a sulfate free blonde shampoo that won’t dry out your hair. Redken Blonde Idol Custom Tone Conditioner Violet is the perfect companion to this sulfate free blonde shampoo, since it adds moisture and helps counteract brassiness by neutralizing yellow tones. If it is, you may want to skip the sulfate! If you have hair that feels dry and rough, as opposed to smooth and soft, when you run your fingers down the length of the hair, then you probably have coarse hair. This type of hair can also benefit from shampoo without sulfate since a no sulfate shampoo won’t rid your hair of all its moisture. The natural oils on your head can travel down your hair to provide hydration. Another alternative to using a shampooing without sulfate is co-washing, a technique where you use a conditioner with a shampoo to cleanse your hair. You can also switch between your regular, traditional shampoo and a cleansing conditioner to get the best of both worlds—clean locks and moisturized hair. Redken Genius Wash Cleansing Conditioner for Coarse Hair gently cleanses while deeply conditioning the hair to fight frizz. On the other end of the spectrum, if your hair is fragile or damaged, a sulfate free shampoo will be gentle enough to not make the situation worse, so whatever moisture you have left on your hair, you get to keep. To strengthen hair after you shampoo, consider Redken Extreme Strength Builder Plus Fortifying Mask, which works to repair hair by bringing protein to hair’s core. 5. Can you get away with not washing your hair every day? You may be able to skip daily shampoos because your hair doesn’t make a lot of natural oil; thus, you can get by with a milder shampoo. You may want to use Genius Wash Cleansing Conditioner alongside your sulfate-free shampoo as it will give you the extra conditioning you may need to make up for the loss of oil. Additionally, to battle the oiliness you may have between shampoos, go for a dry shampoo to soak up grease at the roots. Redken Texturize Power Grip 03 Mattifying Hair Powder not only absorbs grease for a matte finish, it also adds volume and texture to hair. Redken Pillow Proof Blow Dry Two Day Extender Dry Shampoo also mattifies oily roots, and can even be used to make hair less slippery for updos. If you answered “no” to many of these questions and a regular sulfate-containing shampoo is best for, pick your shampoo and conditioner based on your biggest hair concern. Redken High Rise Lifting Shampoo, Redken All Soft Shampoo for Dry Hair and Redken Beach Envy Volume Texturizing Shampoo are all shampoos that contain sulfates but target specific hair concerns from lift, to dryness to volume.